Contact me if you would like to find out more about Online Mindfulness Therapy with me. I will teach you how to manage anxiety and depression using Mindfulness Therapy. This approach is very effective and you can expect to notice significant changes after 3-4 sessions with me. Online Mindfulness-based Skype Therapy is extremely effective for managing anxiety and depression without relying on anti-anxiety medications and antidepressants. It is better to treat the cause of your emotional pain rather than just trying to manage symptoms. Welcome. 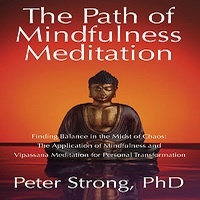 My name is Peter Strong and I’m a professional psychotherapist and I offer online therapy via Skype. So nowadays there’s a lot of people that are looking for online therapists that offer psychotherapy via Skype. It’s very convenient. And that’s one of the main attractions to working with an online therapist. It means that you can have your therapy sessions without having to leave home or if you’re very busy you can arrange to find a place at work where you can have your Skype Therapy session and at a time that works for you. So seeing therapists via Skype is certainly very convenient. It’s also very attractive for people who want to take charge of their emotional development and work with difficult psychological problems, whether that’s anxiety or depression or addiction. But without going through a medical route, that is, without using medications or going to a clinical psychologist and pursuing that particular direction. Many people don’t like the medical approach for working with psychological and emotional problems. People are attracted to the idea of self-help, of finding practical and effective methods that you can apply yourself for working with your anxiety or depression. So that’s what I focus on during these online therapy sessions. I teach you how to use mindfulness for working with difficult emotions like anxiety and depression. I teach you how to meditate on your emotions, and this is what I find to be the most effective approach for overcoming emotional suffering. Learning how to meditate on your emotions. This is not widely taught and that’s another reason why people seek online therapy, is to find people like me who specialize in Mindfulness Therapy and some of these alternative approaches that are proving to be as effective if not more effective than conventional psychotherapy. So, during online therapy I will show you how to use mindfulness effectively, how to actually change the relationship that you have with the mind. And that’s really the focus of Mindfulness Therapy is changing the way that you relate to thoughts and emotions, to traumatic experiences, to memories of all kinds. Whatever may be the trigger for your emotional suffering we learn to do this by meditating on our emotions. What this means is that you are training to specifically neutralize those habitual reactions to your mind, to your thoughts and emotions or memories. You do this by consciously bringing out those experiences and learning how to watch for any tendency to react. When you notice a tendency to react you neutralize it through conscious attention, that’s mindfulness. When you see what’s happening you are able to choose not to react. And the more you do this the more that you break free from the habits of reactivity, and this habit of reactivity is what feeds anxiety and depression and also addiction. Therapy by Skype – Skype Therapy Services UK and world-wide. So that’s the first part of training in mindfulness therapy, is learning how to meditate on your emotions, learning how to neutralize the habit of reacting to your emotions and thoughts and memories and so on. The second part of Mindfulness Therapy that will teach you is about how to basically heal the underlying emotional pain. So when we stop reacting to it then we can bring about healing, and this we do by developing a very compassionate and friendly relationship with your emotions, with the anxiety or depression or the impulse, in the case of an addiction. We have to learn to develop a healing relationship with that emotion and that’s the second primary focus in Mindfulness Therapy, is promoting healing. Whether you have negative thoughts or negative emotions is not the primary problem. The problem is how do you relate to those reactions, and most of the time we simply unconsciously identify with these emotional reactions and that feeds them. When we stop identifying with them then we take away the fuel that feeding those emotional reactions. And this is how we neutralize them. This is how we overcome the habit that feeds anxiety or depression or any other form of emotional suffering. So if you’d like to learn more about how to use mindfulness to overcome anxiety and depression and you like the idea of seeing a therapist online then please go to my website and then contact me and we can schedule an online therapy session.